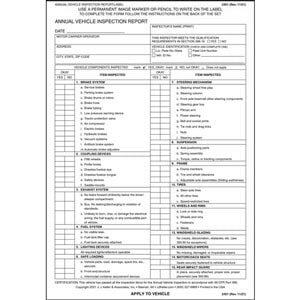 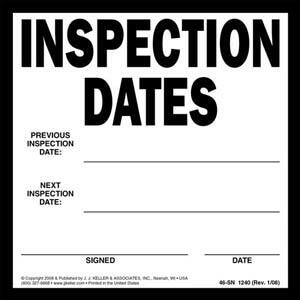 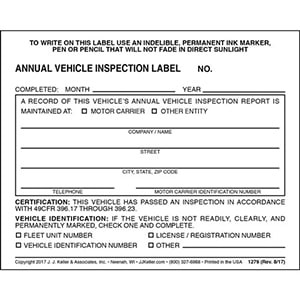 Help comply with Annual Vehicle Inspection requirements. 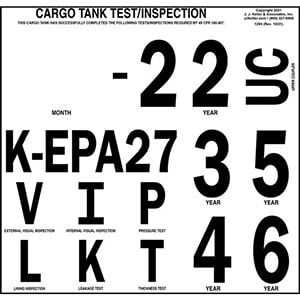 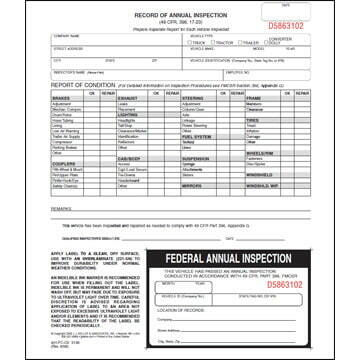 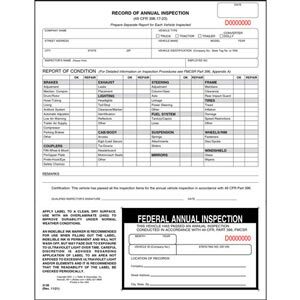 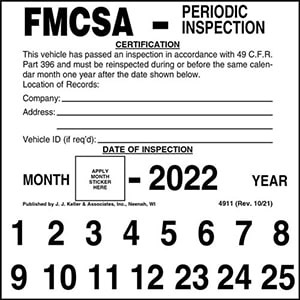 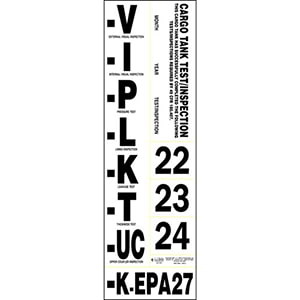 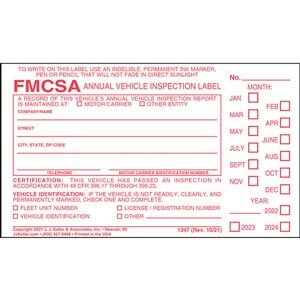 Protects annual vehicle inspection labels. 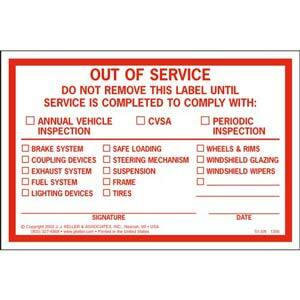 Easily identifies vehicles that are not available. 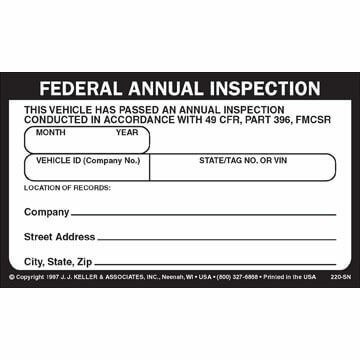 Help satisfy 49 CFR §180.415 Test and Inspection Marking requirements. 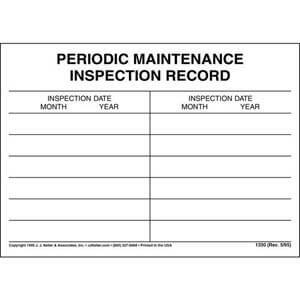 Get maintenance check information at a glance. 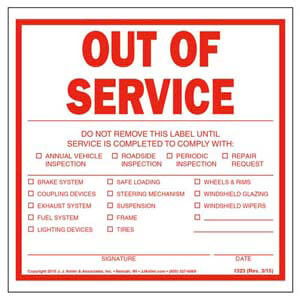 Identify equipment placed out of service at a glance. 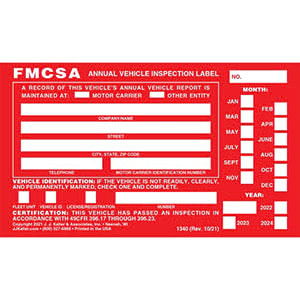 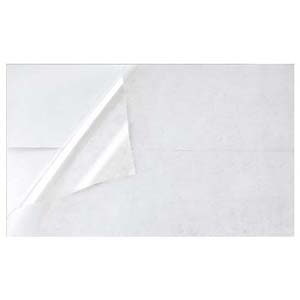 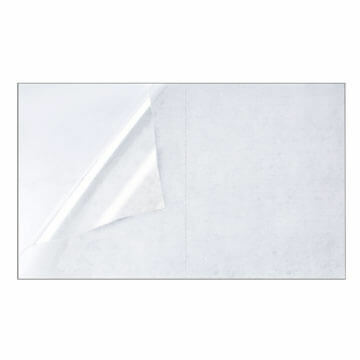 Vinyl sticker with permanent adhesive.